The notice appeared alongside Sunday’s obituaries in The San Diego Union-Tribune — almost as mysterious as the case it seeks to solve. Shown was a black-and-white photo of Dorothy Kilgallen, the “What’s My Line?” panelist and syndicated “Voice of Broadway” columnist who died in November 1965 at age 52. The website, created by Jerrie Dean, carried her summary of the Manhattan mystery. But Dean, a freelance journalist and former KNSJ radio host, isn’t the heart of the San Diego investigation. Gene Bryan and two female friends are. Bryan, of Lakeside, met Monday with Times of San Diego at a Santee restaurant. 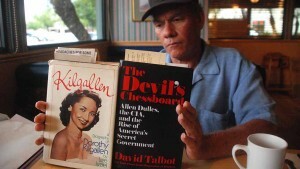 He won’t identify his associates because they work for a major San Diego employer and are hesitant about being associated with the Kilgallen quest. Bryan, 58, retired in March after working 25 years as a landscaper for the Cajon Valley Union School District. 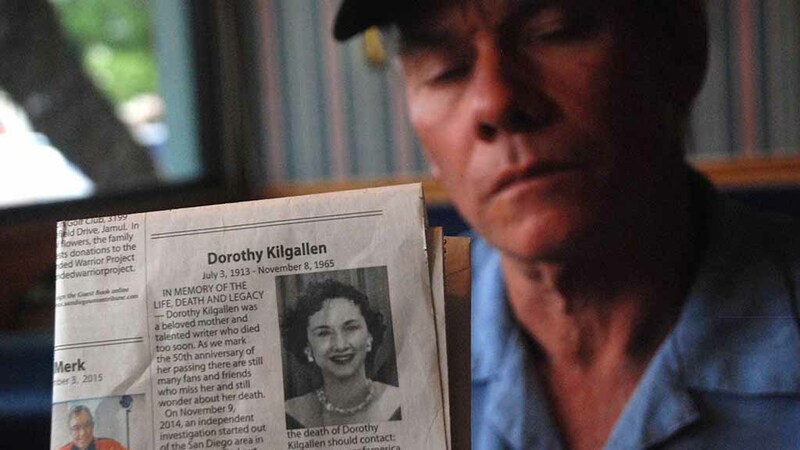 He says he knew little about Kilgallen before spring 2014, when he overheard two elderly diners at a La Mesa restaurant discuss the Kilgallen death in detail. A few months later, a friend at work shared a 2007 article in Midwest Today about the Kilgallen case, which “planted a seed” in his head. Soon he and his friends were working on the case “two hours a night every night” — except for one week, he said. They dissected several books and the Midwest Today article and followed leads they think may point to Kilgallen being murdered — rather than a victim of a drug overdose and heart attack. 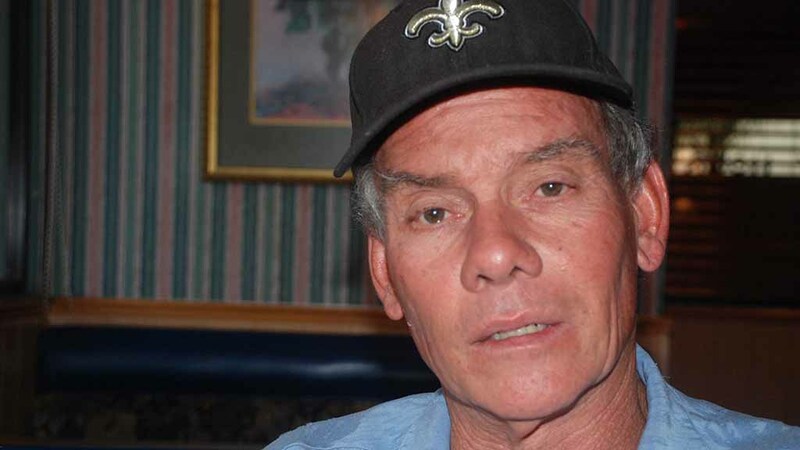 “We felt it was a murder that was covered up,” he said over coffee, wearing a New Orleans Saints cap (he has visited that city almost every year for decades, enjoying its gardens). Why so committed to finding the truth? “Because nobody else did,” he said. 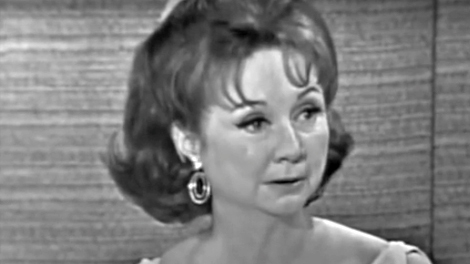 Contrary to conspiracy theories about her death, Bryan doubts it has anything to do with Kilgallen’s interview of Jack Ruby, the Dallas nightclub owner who shot dead Lee Harvey Oswald, the 1963 assassin of John F. Kennedy. Bryan also rejects connections to organized crime. Instead, he and his associates, also in their late 50s, are focusing on Kilgallen’s contacts with someone who leaked her parts of the Warren Commission’s 1964 report on JFK’s death. “She kept pounding away on [Warren Commission] witnesses that were being discouraged — people that weren’t being called” to testify. In a letter seeking information on the case, Bryan also noted that Kilgallen had been investigating the 1962 overdose death of Marilyn Monroe. Bryan wrote that he was fascinated about similarities in their deaths — “that nobody seemed to investigate.” He listed 14. Bryan said his team is looking at the case as a “logical thing” and not a “conspiracy thing,” perhaps involving someone who led Kilgallen to a place where she would be drugged, injected with nicotine to mimic a heart attack and then placed upright in her Manhattan bedroom with her hair in place and certain clues placed nearby. And the more his team learns about Kilgallen, “the more we learn about ourselves,” says the lifelong bachelor, noting similarities with her lonely life. So for $394 they bought the modest notice in the Union-Tribune. “There could be somebody in San Diego that may know something” about the Kilgallen case. What outcome would he like for the trio’s research? He wants a more high-powered researcher — “somebody reputable like a detective” — to take the baton. “A well-seasoned detective could probably pick up a lot more than I could,” Bryan said. But he won’t try to profit from the project. He won’t pursue the work forever, though.